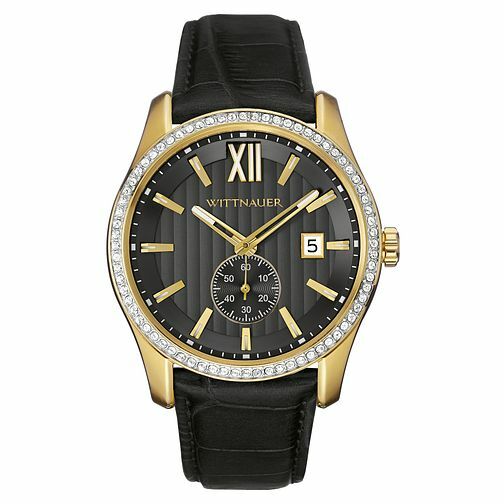 This elegant timepiece from Wittnauer's Michael collection features a yellow gold-plated case accented with a crystal bezel. These aspects, set against a black dial and mock croc strap, create an extremely sleek and classy look, perfect for any occasion. This watch also features an hour timer sub dial and a date aperture for additional functionality.